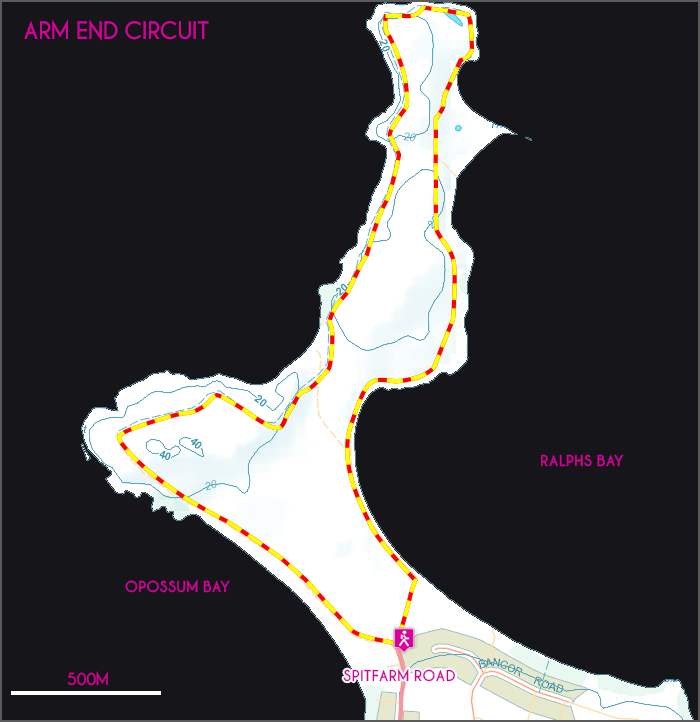 The Arm End Circuit is an easy 6km, 2 hour, walk from the end of South Arm at Opossum Bay. 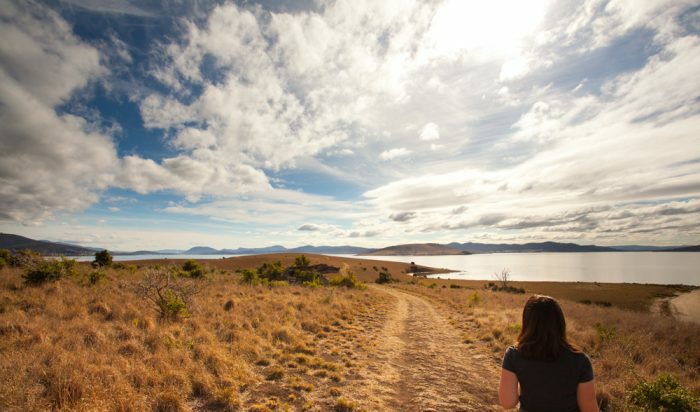 Following the perimeter of the coast, this walk offers constant views of the Derwent estuary including Hobart, the Tasman Bridge and Bruny Island. Beginning from the boom gate at the end of Spitfarm Road, follow the track to the right to meet the vehicle track near Shelly Beach. Continue on this track following the eastern side of the peninsula to Gellibrand Point at the northern tip. During this section you will pass the Split, a sensitive small outcrop home to a number of breeding birds. From Gellibrand Point, views north include Hobart and the Tasman Bridge. 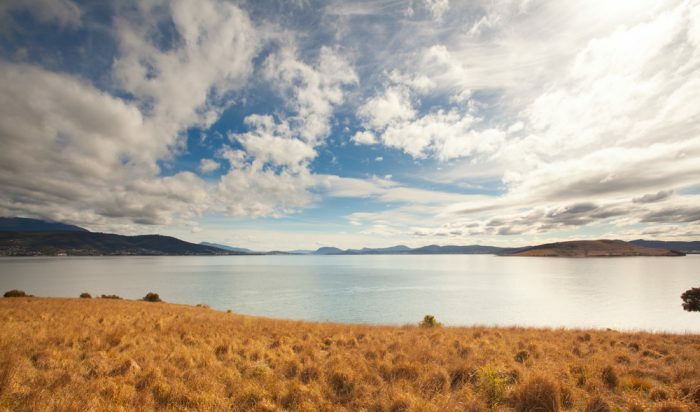 Returning along the western coast, constant views of Kingston and further south including Bruny Island are offered. Shortly after beginning the return walk, Gellibrand Vault, the burial site of original South Arm grantee William Gellibrand can be found. After spotting to read the information signage, Mary Ann Bay, the nicest beach of the walk is passed next and can be accessed via a short detour. The rest of the circuit continues inland and meets the trailhead at Spitfarm Road. View Google Map Directions From Hobart, head over the Tasman Bridge staying in the right-hand lane. After 6km take the turn off to the left and merge onto Flagstaff Gully Link/South Arm Highway (B33). Continue on South Arm Highway for 28km to reach South Arm. 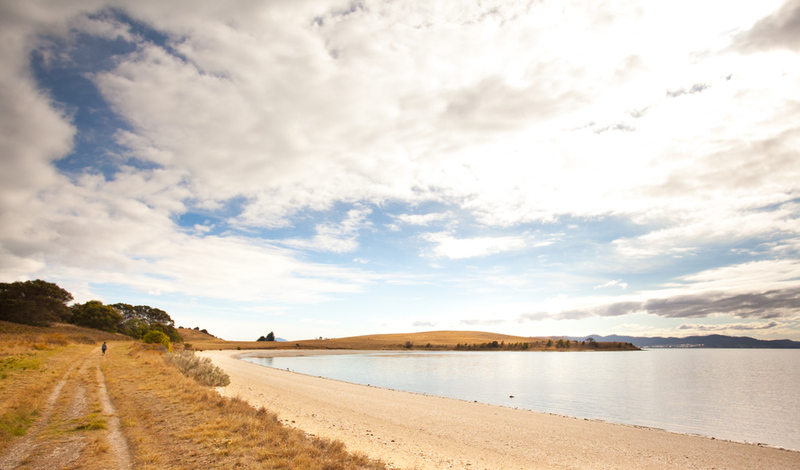 Once in South Arm continue through Opossum Bay on South Arm Road for 5km before changing into Spitfarm Road. The Arm End Circuit begins from the boom gate at the end of Spitfarm Road.